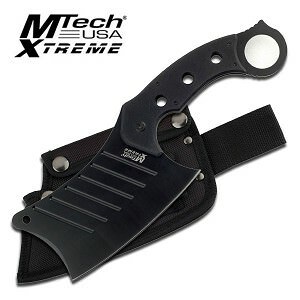 Equipped with useful tools to get you out of whatever predicament you might find yourself in, the razor sharp blade on this pocket knife makes it one of the very best knives you can carry. With a powder coated black finish and piercing dagger point tip, the serrated blade is ready for action. 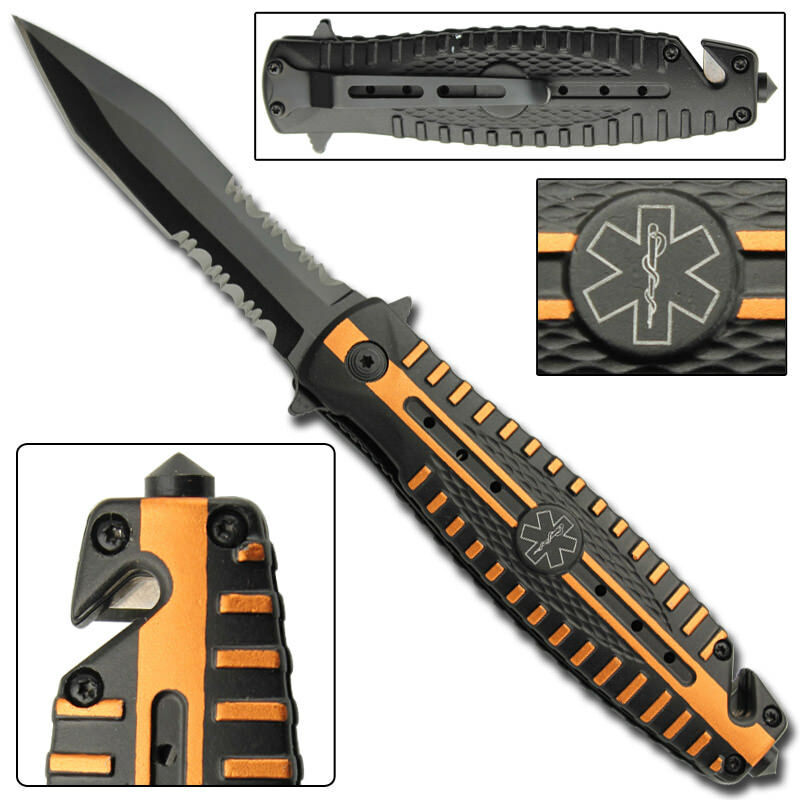 Textured to provide a solid grip in hand, the industrial black aluminum handle features orange accents and striping with steel bolsters and bolster lining providing strength and support for rugged everyday use. A sturdy engineered steel pocket clip assures the knife will never be far from your side and readily available for use whenever you need it while the rope cutter and glass breaker on the tip should prove quite useful.